• Dental Implants: Dental crowns are used to cap the metal rod implant in place of a missing tooth. • Dental Bridges: Dental crowns on the teeth adjacent to the bridge serve as anchors for the bridge to clamp onto for support. • Root Canal Therapy: Dental crowns protect brittle teeth after root canal therapy. A dental crown is a custom-made artificial tooth cap that completely covers a chipped, cracked or damaged tooth. Most commonly, dental crowns are a restoration procedure for teeth needing more structural support and long-lasting protection than cavity fillings or inlays. They are typically placed over a tooth to restore its shape and size, strength, and improve its appearance. The crown fully encases the entire visible portion of a tooth above the gum line. Crowns can be made from a number of different materials. What Are The Benefits Of CEREC® Same Day Crowns? Chairside Economical Restorations of Esthetic Ceramic (CEREC®) has revolutionized modern dental care. Traditionally, if crowns, onlays, inlays or dental veneers were required to restore damaged teeth, you would need to have several appointments, gooey impressions, temporaries, and several weeks of waiting time in-between. Now, with CEREC®, we can create your ceramic restoration within in just one visit. 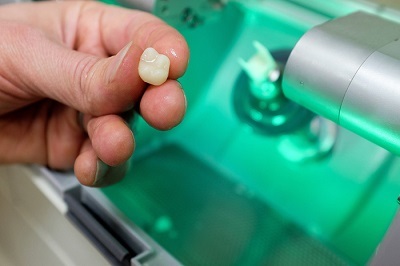 What Is The CEREC® Process? The first step is to prepare the tooth for a crown which involves reshaping and removing any decay from the tooth. We then take a virtual impression of the tooth with a special camera. Then we design your crown on a computer. That information is sent to a milling unit that mills the crown out of a solid block of ceramic material. After the crown has been finished and tried in to ensure its precise fit and correct appearance, it is bonded to your tooth. The procedure is now complete and there is no need for a second visit. The quality and results are the same as a laboratory-generated restoration. 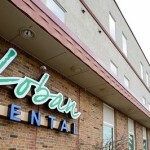 We’d Like To Be Your Family’s Home For Gentle Dental Care in Duluth Minnesota! Our friendly and professional team is eager to serve you. We offer convenient scheduling to cater to busy families like yours. Call 218-722-1715 schedule a consultation to speak with Dr. Loban. or connect with us online!